Had your fill of Dubrovnik? Sick of the many, many tourists who flood the Croatian city every summer? Well, the Montenegrin city of Kotor – located on the Adriatic coast – could be the perfect alternative. Similar to Dubrovnik its town walls create an awe-inspiring view as your ship approaches the dock – and it has that old-world charm which is hard to replicate. 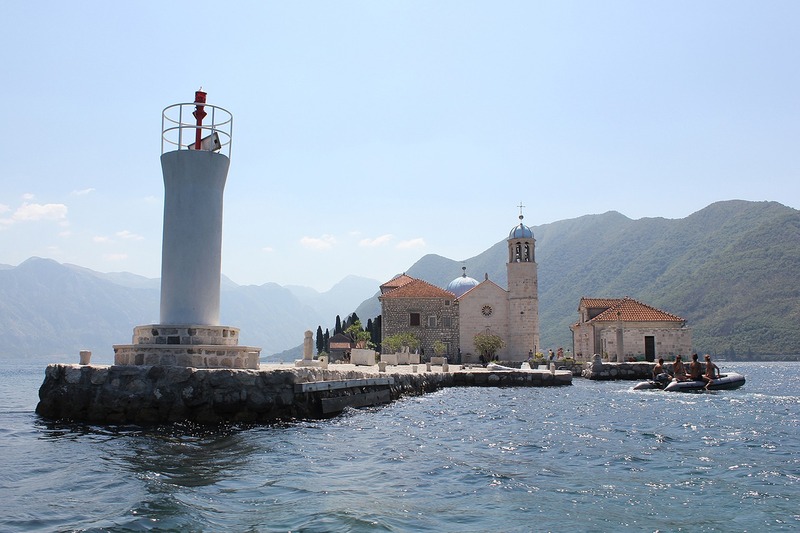 One of the main appeals of cruising to Kotor is the journey through the Bay of Kotor itself, which zig-zags through the mountains and is as atmospheric as any sail-in you can imagine. Ship captains often sound the horn during the approach – a sound that echoes through the caverns for seconds. Dubrovnik, eat your heart out. Cruise ships dock at Kotor pier, which is no more than 300ft from the town centre so more than walkable, although taxis are available upon disembarking for those who want to venture further afield. The pier can only accommodate one ship at a time, so tenders are used when two or more at present at the same time – this can easily add 20-minutes to your disembarkation time so keep it in mind if you’re planning a busy day. Kotor Old Town: The main reason to visit Kotor. This UNESCO-listed site is full of medieval architecture – churches, cathedrals, museums and those towering old city walls – providing plenty of reasons for snap-happy tourists to get their cameras out. Trg od Oružja – the largest square in the Old Town – is one of the main gathering centres in Kotor. Energetic guests may even want to climb the walls for some truly spectacular views of the bay. Cats Museum: Lovers of our feline friends will want to hot tail it Kotor immediately as the Old Town of the city is famous for its many cats which roam the street freely. In fact, they’re so popular that a museum has been opened in their honour. Here you’ll find a range of cat-inspired items – from postcards to jewellery to adverts – on display and there are also plenty of cat-related souvenirs to purchase around town. Cathedral of Saint Tryphon: Another gem of the Old Town (seriously you can spend hours here alone), this Catholic cathedral was consecrated in the 12th-century. An earthquake in 1667, however, caused significant damage and new bell towers – in the Baroque style of the time – were constructed. It also has a gilded silver bas-relief altar screen – one of Kotor’s most valuable treasures. Galion: One of Kotor’s most renowned restaurants, Galion is a seafood restaurant which serves up fresh fish from the bay, every day. Restoran Galerija: For an authentic Montenegrin meal – located in a plum position on the waterfront – this frantic restaurant is a reasonably priced delight. Bocalibre: You can’t be located on the Adriatic Coast and not have a good Italian restaurant, fortunately, Bocalibre is as good as any you’ll find in any Roman café. Get the pizza! Farmer’s Market: Take a look around the Old Town’s farmer’s market and see if you can spot any bargains – and, of course, you can always haggle! Old Town: Kotor is not known for its shopping, but you’ll find the odd boutique shop in the Old Town selling fashion, crafts and souvenirs. Kamelija Shopping Centre: This small shopping centre – just outside the main city – has a collection of shops and stores away from the usual big names. Kotor is a small place; meaning everything is relatively well-placed for tourists. Bike rentals are popular in the harbour area, while there is a tourist information kiosk near the main Sea Gate entrance to the town. If you are planning a trip to Eastern Europe then you may also be interested in checking out the latest ocean and river cruise news and also our other features on cultural cruising.